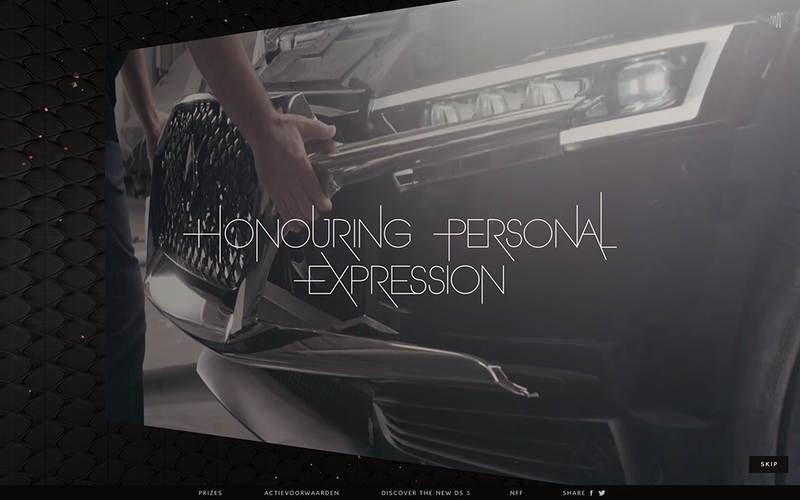 Creative digital agency DPDK developed for the French luxury car brand DS an online platform and interactive installation for the 35th edition of the Dutch Film Festival. 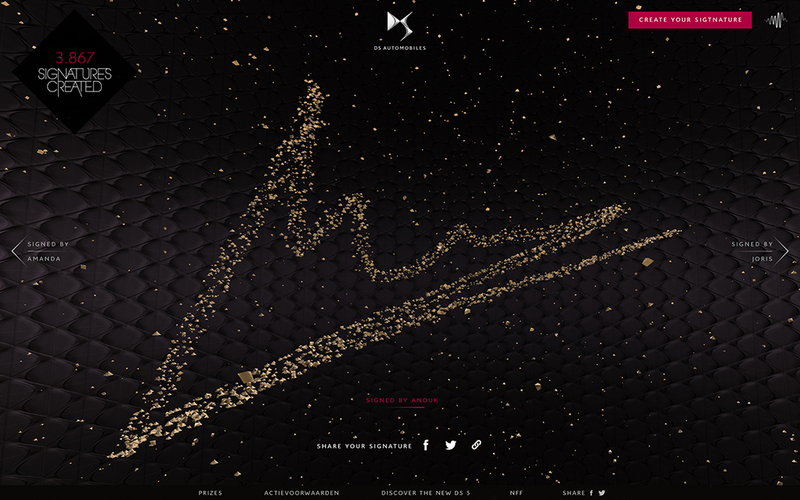 Visitors were invited to leave their signature on www.ds-signatureart.com. 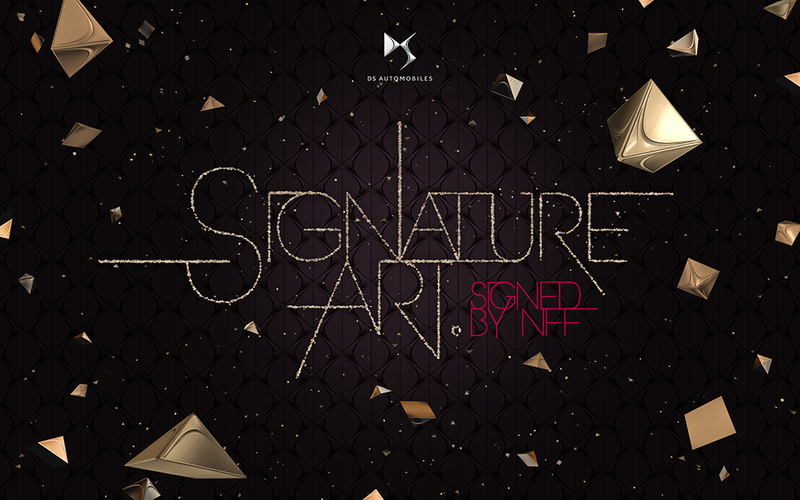 Of each signature, a real-time, 3D work of art created in the style of DS was created. 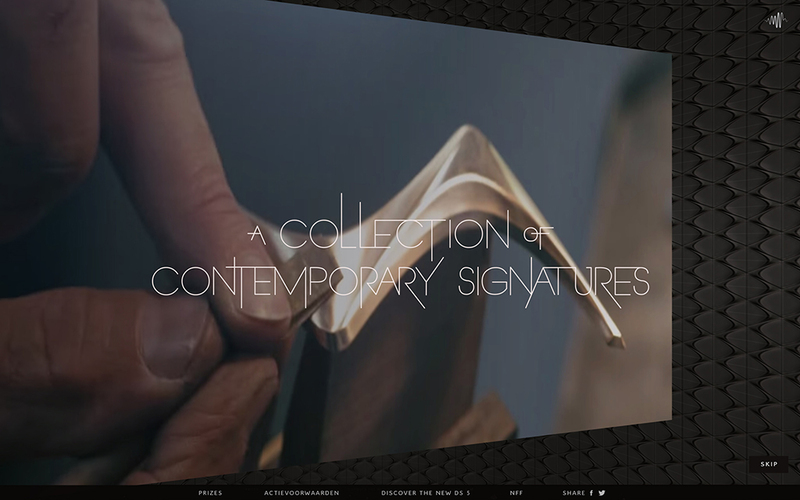 This resulted in an online collection of all 3D signatures. 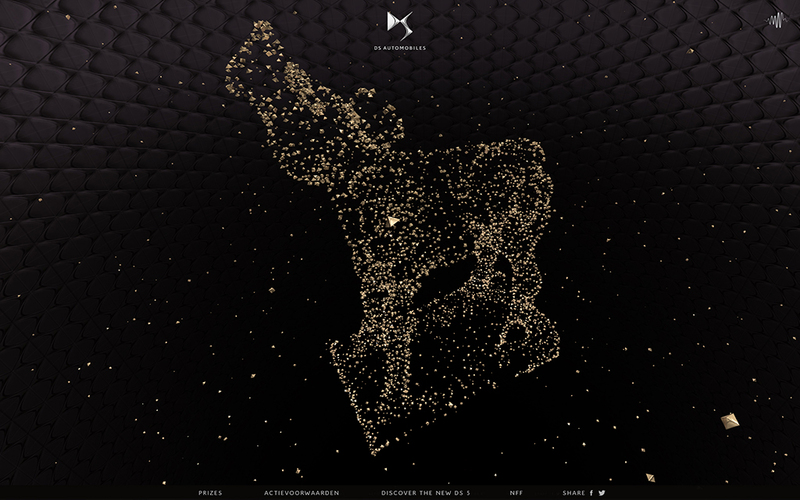 At the Dutch Film Festival, there was a specially developed interactive installation to create a 3D Golden Calf from small DS logos. 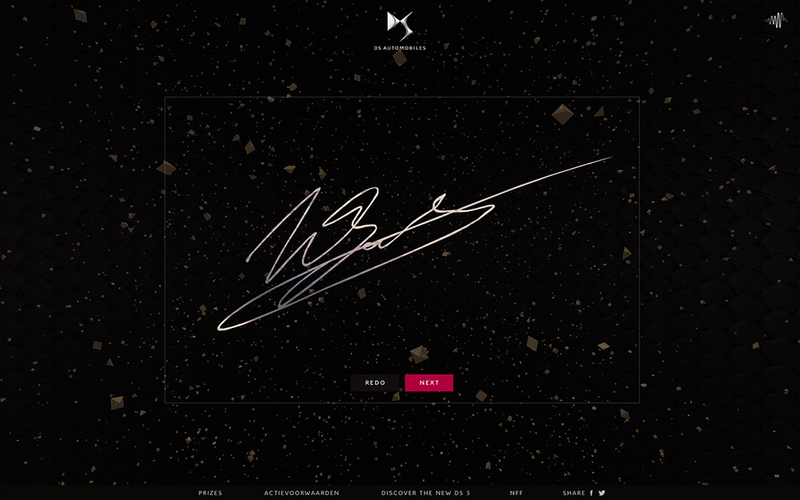 With this campaign, DPDK carried off several international awards, including the FWA Mobile of the Day, FWA Site of the Day, Awwwards Honorable Mention, and the CSS Design Award.